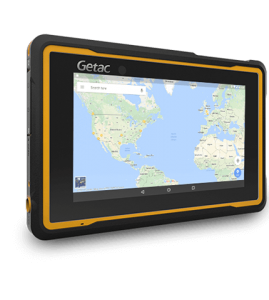 Compact and powerful, the ZX70 7” fully rugged Android tablet is just the right size with a thin and light, ergonomic design that’s easy to hold and use comfortably in one hand, making it the ideal solution for improved mobile productivity. The ZX70 provides the best battery runtime performance in its class for mission-critical field operations. Rugged to the core, the ZX70’s design is optimized for a wide variety of configurable features and no-compromise ruggedness. The ZX70 features a 7” IPS, sunlight readable display. Our 580 NIT screen is brighter than the competition, enhancing readability in the toughest work environments. Responding effortlessly to your every touch, our revolutionary LumiBond 2.0 touchscreen technology bonds the display glass with the touch panel and LCD, creating a single panel that is more durable and readable, and offers better contrast and more crisp colors than any other rugged display. It features several touch modes that allow operation in the rain, with gloves on and using the included hard-tip stylus, ideal for capturing signatures and taking more precise notes on drawings, maps, or forms. Extreme temperatures: Being able to work in any environment is critical, even freezing cold conditions. 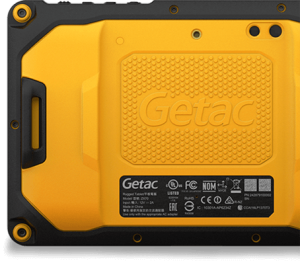 The Z710 rugged tablet can be operated in temperatures from -6°F to 140°F. ** For full details of the warranty protection, see the terms and conditions.